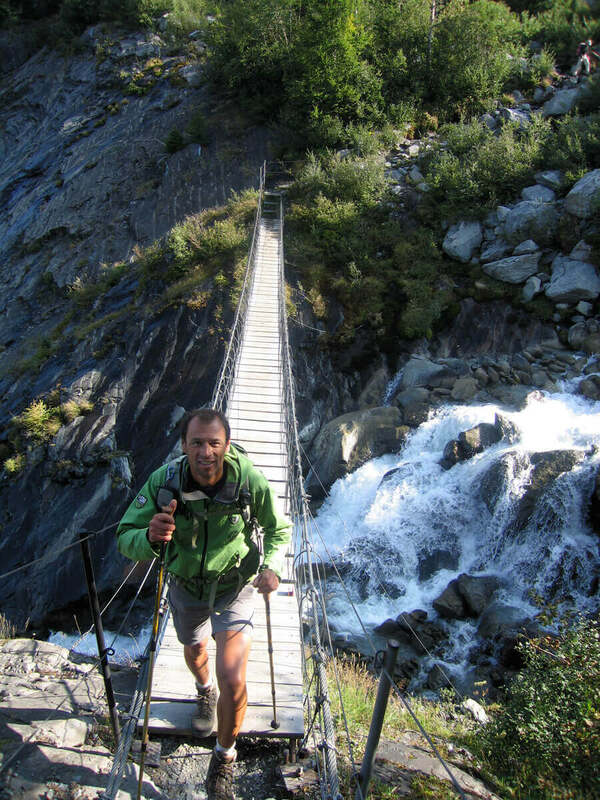 Trip leader is famed guide - Laurent Langoisseur! Delightful guided hiking through romantic and beautiful Provence with famed guide Laurent Langoisseur! 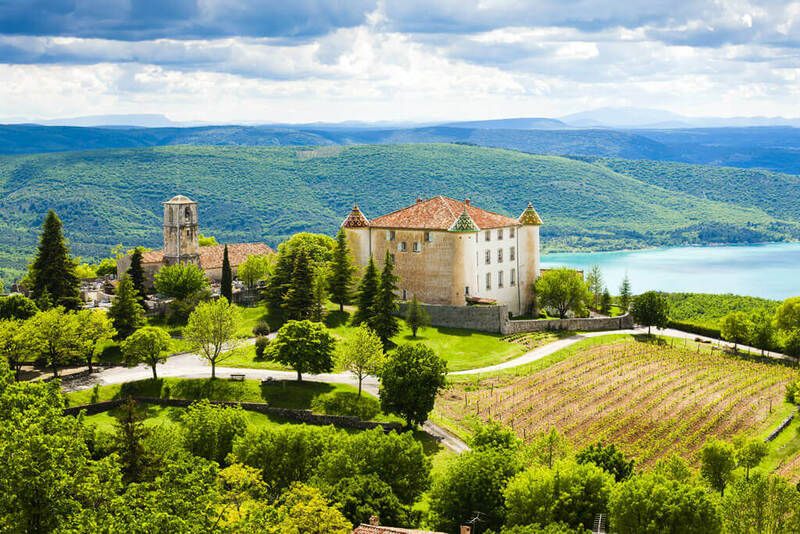 Our colorful, bilingual, knowledgeable guides will take us off the beaten path to hidden gems and treat us to a truly "authentic" Provence experience. 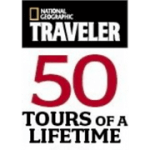 We'll enjoy fabulous French cuisine and charming accommodations. 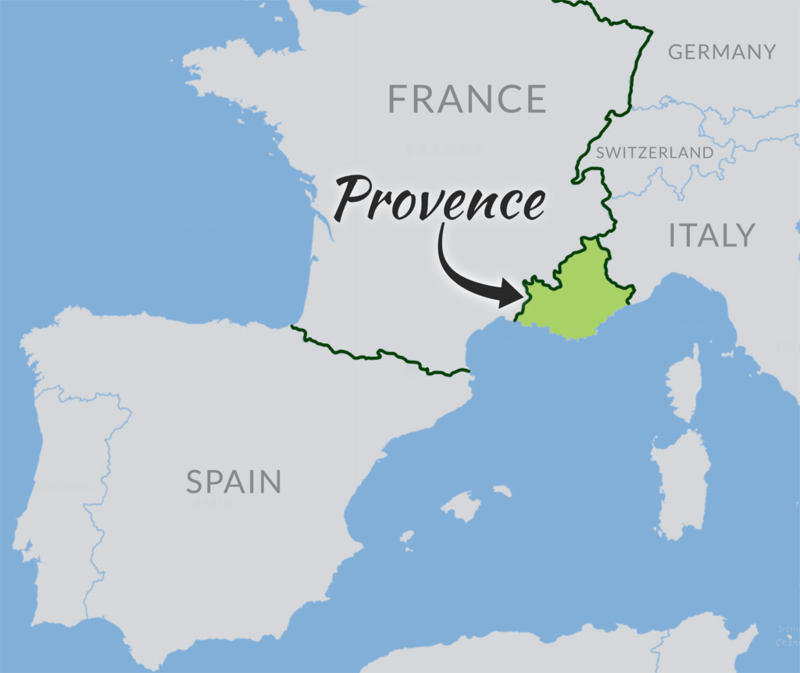 We'll also do some wine tasting in this mecca' of French wine areas. The itinerary below is our planned schedule. 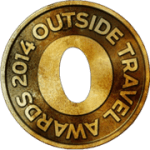 Hiking times are general estimates and vary depending on local weather, daily trail conditions, and festival schedules. Internal flights are also subject to change. Weather/sea conditions particularly, may affect the hike on the island of Porquerolles in which alternative plans will be made. 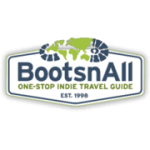 We will be walking trails along the South coast west from the St. Tropez area towards Marseilles and visiting small villages inland typical of the Provence region. We will see flora and fauna typical to this region - Bonelli's Eagles soaring majestically above the high rocky cliffs or walking amongst the Garrigue'. 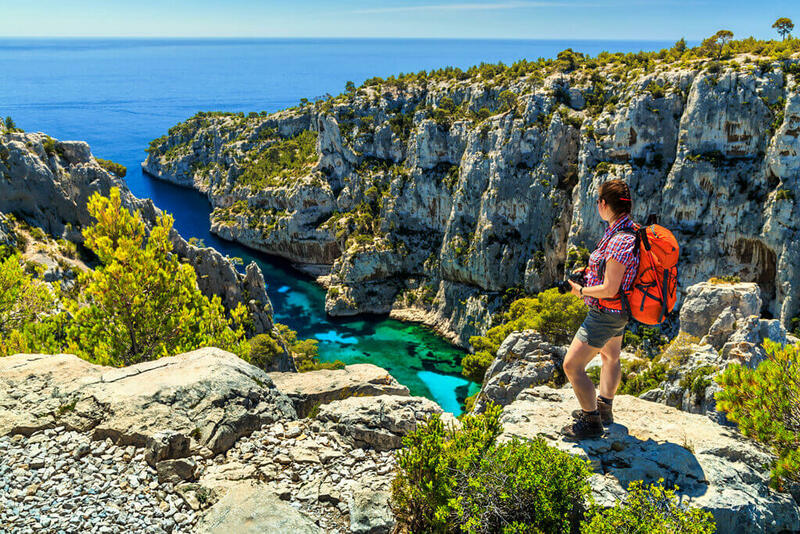 We start with a transfer from the pick-up point to the St.Tropez area and over the trip walk West finishing in the beautiful Calanques' area just east of Marseille. DAY 1 - Pick-up Our guides will meet you at the Marseille airport at one o'clock. We transfer to our hotel la Garbine'. For those who wish, it is possible to have a couple of hours visiting St. Tropez. In the evening your knowledgeable and colorful guides who will explain the workings' of the trip followed by a group dinner. 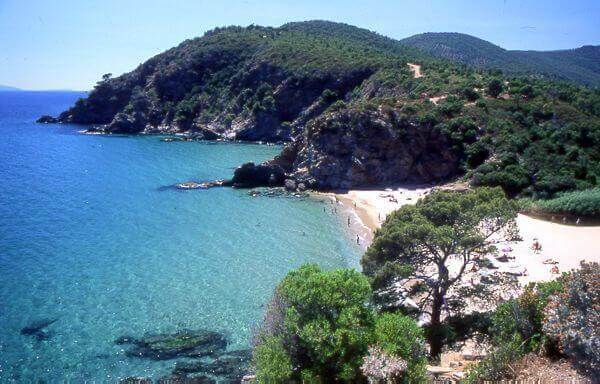 DAY 2 - Hiking along the coast around the St Tropez peninsula We will hike along the coast passing many of the famous beaches such as the Pampelone Beach where we may see some famous celebrities. 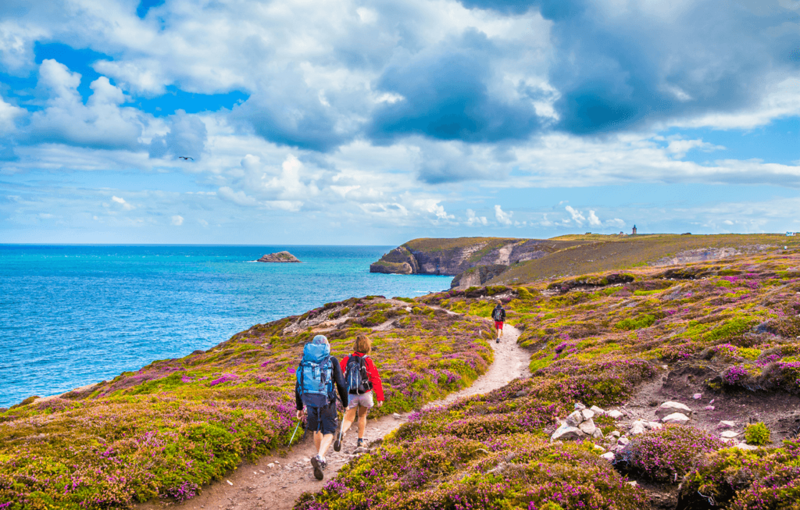 The trail takes in some of the most beautiful coastline of the area. The hike continues around the peninsula finishing directly at the hotel. 3 - 4hrs. 6 miles. DAY 3 - Cap Lardier We start our hike visiting the medieval village of Ramatuelle. 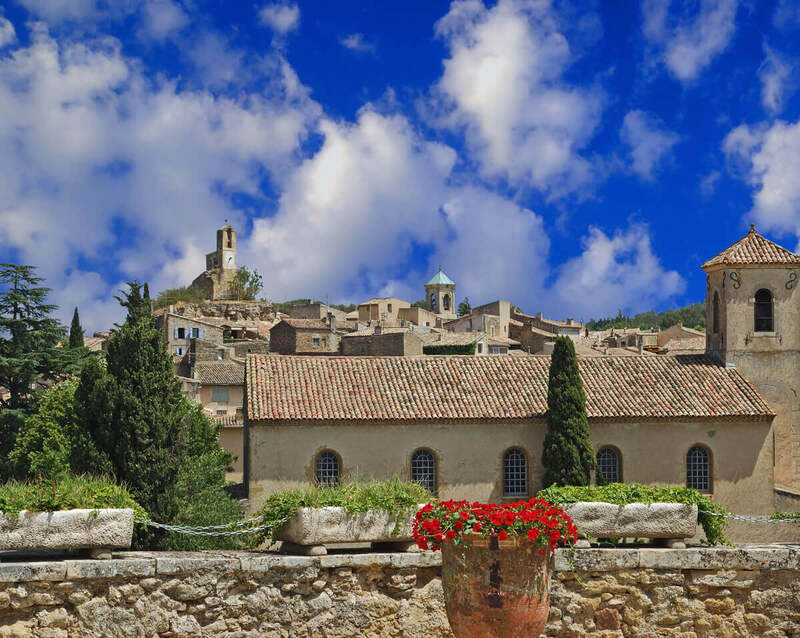 This consists of tiny little streets, no traffic, viewing old buildings and fine views on the vineyards of St, Tropez. Continuing the "sentier du littoral" sometimes called the Coastguard Path we are in a nature conservation area with colourful shrubs and flowers, umbrella-shaped pine trees (pin parasol), and views of tiny islands like "Crocodile Island." This is a National Marine park where the hundreds of species of flora and the fauna are protected. Especially the rare land and marine birds we will see. Transfer to hotel. Dinner is on your own at Borne Les Mimosa,' the village cited as the most flowery village in all of France. DAY 4 - L'ile de Porquerolle After a transfer to the small port we board a ferry. Approximately, a 1 hr. boat ride takes us to the historic island of Porquerolle, also part of the National Park, protecting flora et fauna since 1971. We will visit the Agatte fort, walk to the windmill, and see the vineyards, beaches and cliffs of this small beautiful island which has been a military post for centuries. We finish the afternoon back on the ferry to take us back to the mainland. DAY 5 - Nation Bay A one hour drive takes us to Bandol, capital of Ros de Provence'. It is reputed as having the best Ros wine in all of France. 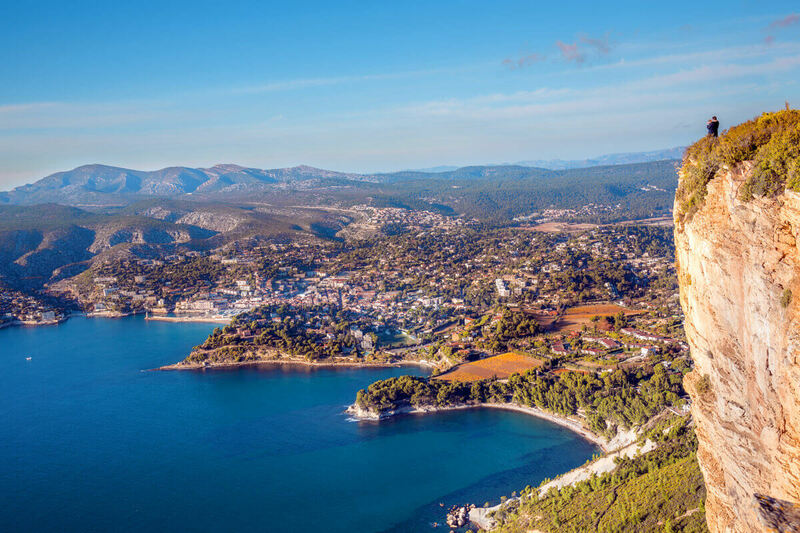 Bandol is a seaside town with quaint sandy beaches and inlets that are surrounded by hills of pine and willow trees and also the famous Bandol vineyards. You'll have enough time to visit and enjoy your lunch near the sea before the afternoon hike to finish at Les Lecques . Short ride( 20 min) to La Cadire. 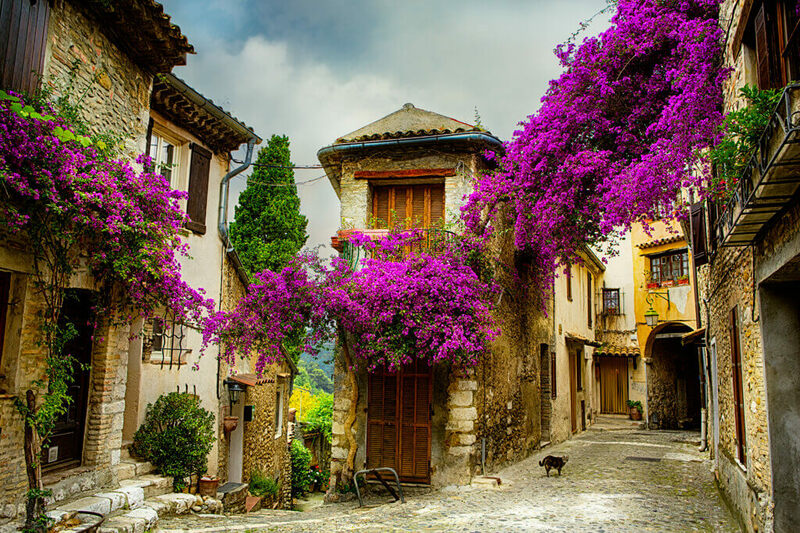 La Cadire-d'Azur is a small, old, medieval hilltop village. DAY 6 - La Montagne St. Baume Today we abandon the coast for the mountain of St. Baume, 1,048m. in height. Along the way we will discover the Meditteranean Glacier! This consists of buildings which take advantage of the cool air from the hillside for making ice. Our beautiful trail takes us above the limestone cliffs which rise up above the garrigues with views of the sea and Provence interior. We descend into the Virgin Forest of beech, oak, ash, and hornbeam- untouched by man for centuries. Transfer 40 mins to hotel. DAY 7 - The Cap Canaille An easy day with superb scenery. We hike along the trail to the summit of Cap Canaille - one of the highest cliffs in Europe giving stunning views of the coastline. Waves crash against the foot of the cliff 400m below. We descend this cliff by a trail that takes us to the port of Cassis. A very pretty trail along the coast. 8 miles, 1,310', 3 hour). Dinner on your own. DAY 8 - The "Calanques" The Calanques are a succession of narrow canyons with white limestone cliffs jutting into the azur blue sea. Probably the highlight of the trip as far as beauty is concerned. A photographers paradise. Our trail takes us along the coast meandering in and out of these little fjords' with breathtaking views. DAY 9 - Transfer to Marseille airport There will be a morning transfer to the airport for mid-day flights. If you wish to use the group transfer try to arrange your departure to suit this time. If your flight is very early then you will have to arrange a taxi separately. It takes less than 1 hour. 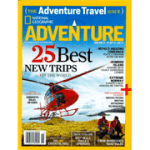 Kyle Allred, PA-C: International guide on five continents; Whitewater guide and instructor for over 15 years. 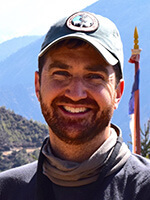 Co-founder of MedCram.com Medical Education Videos; Wilderness survival instructor and co-founder of MedWild.com Instructional Videos.